It is understood gait has the potential to be used as a window into neurodegenerative disorders, identify markers of subclinical pathology, inform diagnostic algorithms of disease progression and measure the efficacy of interventions. Dogs' gaits are frequently assessed in a veterinary setting to detect signs of lameness. Despite this, a reliable, affordable and objective method to assess lameness in dogs is lacking. Most described canine lameness assessments are subjective, unvalidated and at high risk of bias. 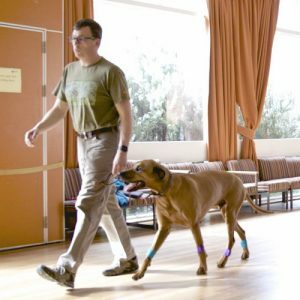 This means reliable, early detection of canine gait abnormalities is challenging, which may have detrimental implications for dogs' welfare. Ladha C, O'Sullivan J, Belshaw Z, Asher L. GaitKeeper: A System for Measuring Canine Gait.Sensors. 2017 Feb 8;17(2). pii: E309. doi: 10.3390/s17020309. Quality of life is a term often used in small animal practice but it is poorly defined and hard to assess clinically. 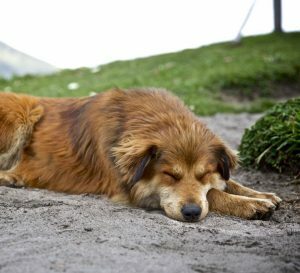 This research aims to examine quality of life tools available in small animal practice, and to look at the unanswered questions in canine arthritis with a view to developing and validating a tool for use by owners of arthritic dogs and their vets.